Is this the 3D printer for schools? I’ve had the Polar3D (www.polar3d.com) printer for a couple of months and it is a delight to use. Norma found this printer at the ISTE conference, and it generated a lot of interest. If you use PLA filament, the adhesive to the glass base plate is simply hairspray. It does raftless printing very well so there is often no scrap to remove, and the print quality is amazing. The designers really thought this printer through. It works right out of the box – no calibration required. Filament loading and unloading is a breeze. The initial software setup takes some work (and can be improved) but once done, you are all set. The only challenge I’ve had is when I take the printer on the road and have to switch to a different network, but the phone help is quite patient with me. Unlike my other printers, it prints from the cloud, so your stl files are saved in your online account. Also, a built-in camera lets you see your job as it is printing from anywhere in the world you are logged in. An advantage in school settings is that several printers can be set up in a central location and print jobs can be sent from any classroom using any internet-connected device. This is clearly a printer worth looking at! That said, this is a dynamic field and I’ll be keeping my eyes open. 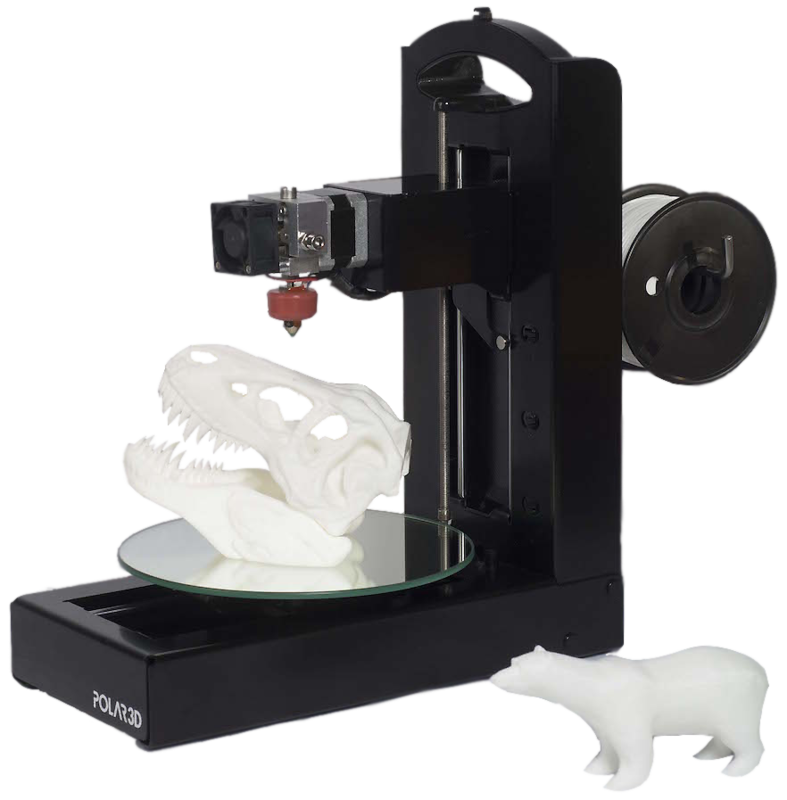 You really can’t go with this 3D printer – The Polar 3D printer’s elegant design simplicity, quiet operation, built-in 1080P wide-angle HD time-lapse camera, high-quality prints and safety features make it unparalleled in the 3D printing industry. I was so impressed with them, I am now their Director of Education. The Ultimaker 2 is a great 3D printer for schools. The Zeus All-In-One is just as good and probably has even more utility.